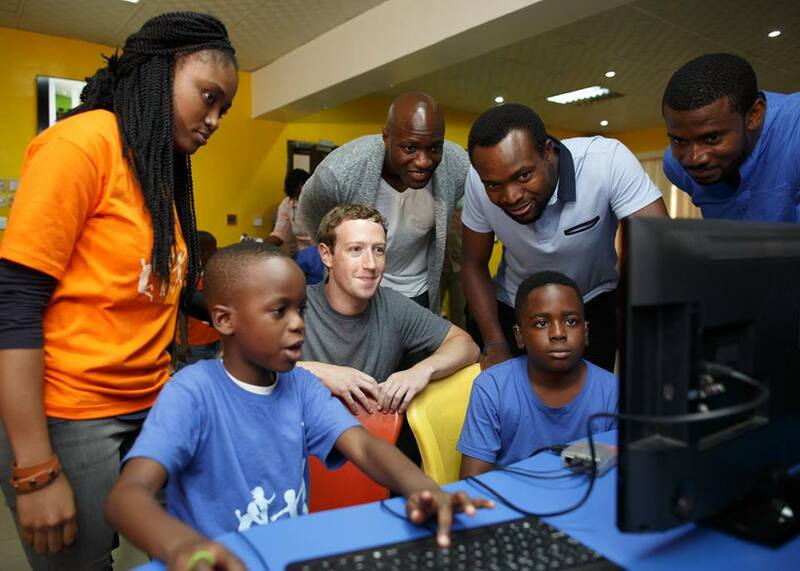 It is no longer a news that Mark Zuckerberg Facebook founder paid an unannounced visit to Lagos Nigeria, the news broke out when Mark reportedly visited CCHub an open living lab and pre-incubation technology space for social tech ventures in Nigeria at Yaba in Lagos. According to an insinuation online, Mark Zuckerberg could have decided to visit Lagos due to all the Facebook contact and relationship with tech startups that have been happening lately, someone further opined that, he could be here to visit Jobberman, the Andela team he’s invested in, attend the developer workshop, launch Express Wifi or have policy-centred conversations with the Nigerian government. However, with what we have seen in few days Mark has spent in Lagos it appears those conjectures might actually be correct, yesterday mark visited the Andela team a tech startup Facebook invested about $24 Million in. The Andela team was extremely excited to have one of the movers and shakers of technology in the world right in front of them. What this means for Nigerian & Africa startups at large is that people are watching us from the outside, there are so many VCs out there who are looking at what and where to invest. I believe with Mark’s visit to Nigeria some other investors will be willing to look at what we are doing in this part of the world and how they can tap into the opportunity therein. It’s actually a welcome development. I also believe this will pave way for other VCs to start paying more attention to Nigeria.